Today, Metrans is operating 30 Bombardier Traxx MS2e engines. This year, another 10 identical locomotives will be added to their fleet. 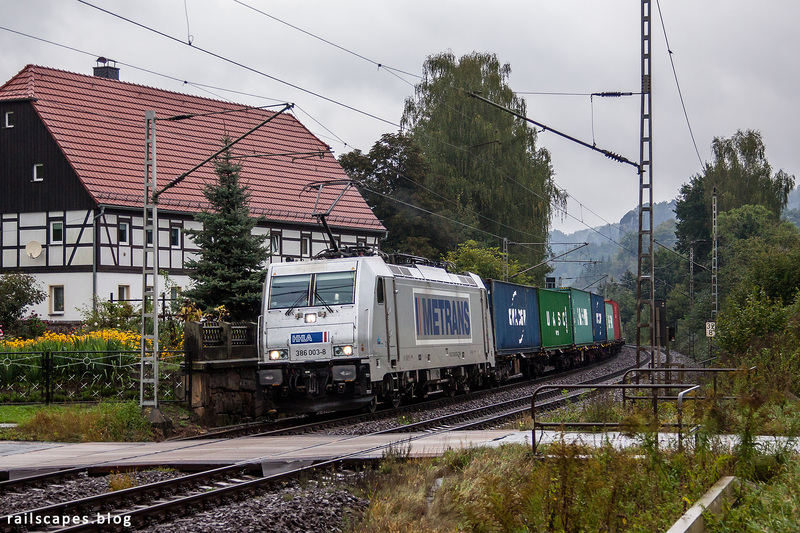 On september 19th I could make my first photo of one of these engines – the line along the Elbe sees a lof of Metrans trains, no particular accomplishment there.